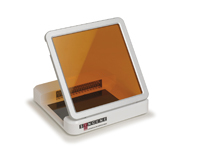 High Sensitivity Using 108 high intensity LEDs, the UltraSlim-LED illuminates a wide range of samples, producing fluorescence in even the faintest of bands. The illumination is high intensity and uniform, giving high quality images for publication or analysis. Small footprint The UltraSlim-LED can be used as a stand-alone transilluminator and takes up very little laboratory bench space. Its overall dimensions are only 21 x 21cm and it is easily portable to any location. 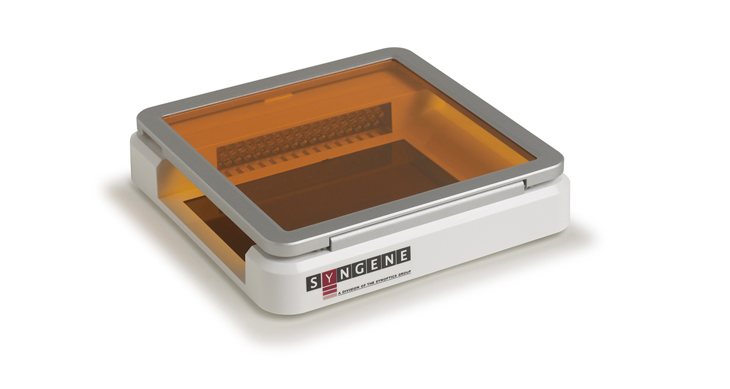 The UltraSlim-LED is compatible with any Syngene darkroom. Uses a wide range of dyes The UltraSlim-LED can be used with UltraPower, Ethidium bromide, GelGreen, GelRed, SYBR Gold, SYBR Green, SYBRSafe, SYPRO Orange, SYPRO Ruby. (All trademarks acknowledged).